A national advocacy campaign on HIV/AIDS says it is targeting over 30,000 persons across multiple communities in eight high-risk states in Nigeria from November 30. The campaign, organised by the Red Ribbon Coalition comprising Youth Empowerment Foundation (YEF), Society for Family Health (SFH), Development Communications Network and convened by Coca-Cola Nigeria is part of activities to mark 2018 World AIDS Day. The Nigeria Red Ribbon, a group of NGOs, business concerns and private sector players, was inaugurated in 2015 to contribute its quota to the National AIDS Response. 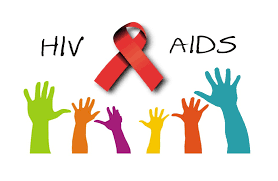 At a news conference in Lagos, the Executive Director, Youth Empowerment Foundation (YEF), Mrs Iwalola Akin-Jimoh , said there was need to intensify advocacy and campaign against HIV, especially to teenagers and young adults. “This will enlighten them on the need to know their status, how to be guided if positive, how to reduce viral load and reduce high risk behaviour so as not to get the virus. “HIV prevalence among adults in Nigeria is relatively low (3.2 percent), yet Nigeria is an enormous country where HIV infection remains an issue that demands a systematic and highly tailored intervention. “As of 2012 in Nigeria, the HIV prevalence rate among adults ages 15–49 was 3.1 per cent; Nigeria has the second-largest burden of HIV globally. The HIV epidemic in Nigeria is complex and varies widely by region. “Nine per cent of all PLWHA globally live in Nigeria with the country accounting for about 3.2 million people living with HIV.